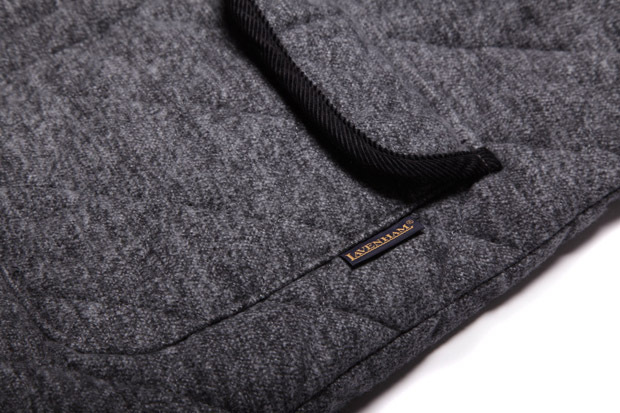 This Autumn, two functional fashion legends unite … introducing the Edwin x Lavenham collaboration. When I first saw this small capsule collection in Berlin, it got me very excited. It’s something I never saw coming, but instantly thought “Why has this not happened sooner?”. Seeing it again is already conjuring up that excitement once more and I’m already starting to look to July for when it hits the stores. Consisting of only two items, the collection is small, but exceptionally well executed, as expected from either brand. 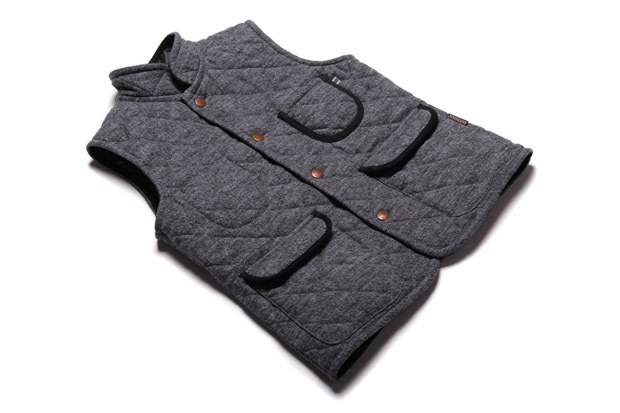 Taking inspiration from early lifesaver vests, the duo have created a gilet and jacket. Having Edwin involved means that there’s an onslaught of geekery when it comes to materials. It may not look it, but these are actually denim. 9.5oz, 100% yarn dyed napping Oxford denim to be precise. Exclusively created for this collaboration, the fabric is heavily brushed in order to give it it’s ‘Black Wool’ finish. 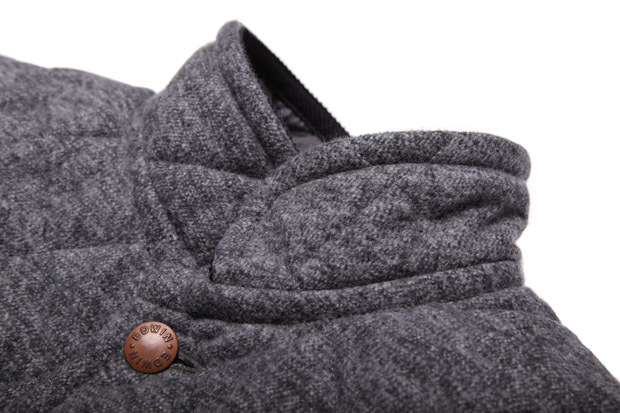 You would be forgiven for thinking that they are made from a very high quality wool of some sorts, due to it’s soft touch and appearance. 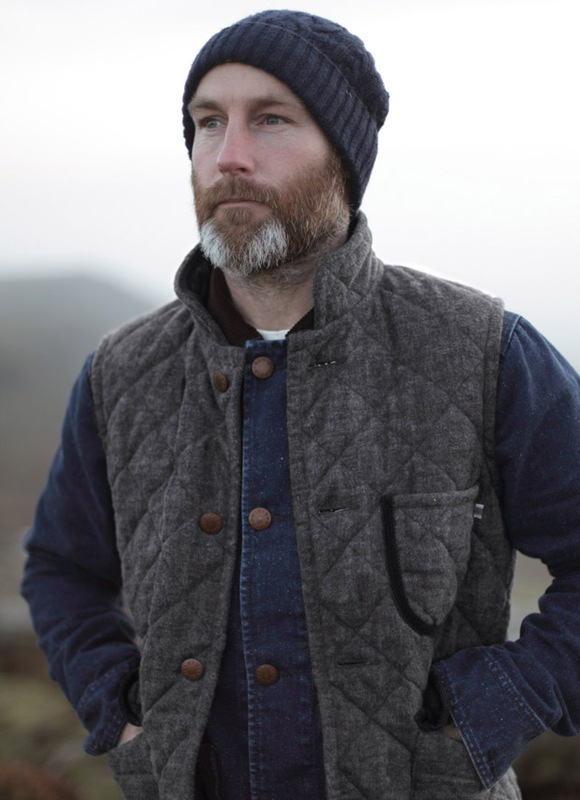 With the special denim made in Japan and brought to our lovely shores, Lavenham craft the jackets in their Sudbury factory, adding their infamous quilting and popping on some removable Edwin shank buttons. 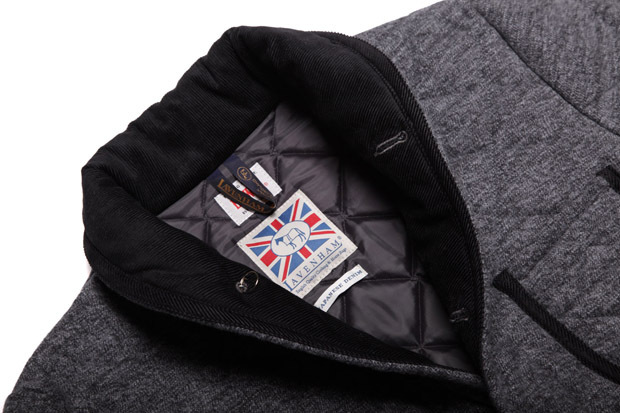 Collaborative branding features on the inside on the neck, and on the outside in the forms of both brands trademark outer tabs (Edwin on the upper pocket, Lavenham on the lower). These products are already on my wish list, but the struggle will be deciding to go jacket or gilet. It goes without saying that these will be limited in numbers, but mainly down to the complicated process in creating the exclusive fabric. 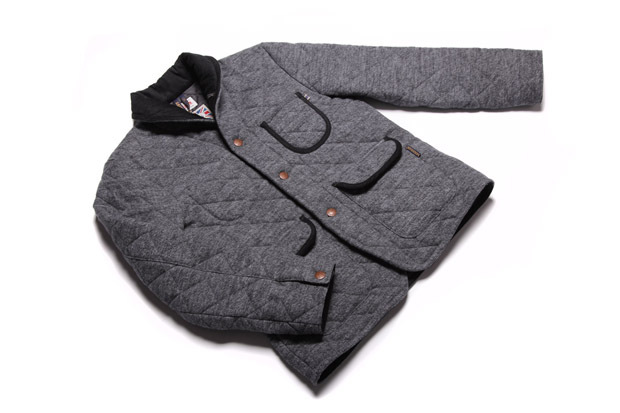 Expect to see these entering key European Edwin stockists (The Edwin store for us Londoners) in July.